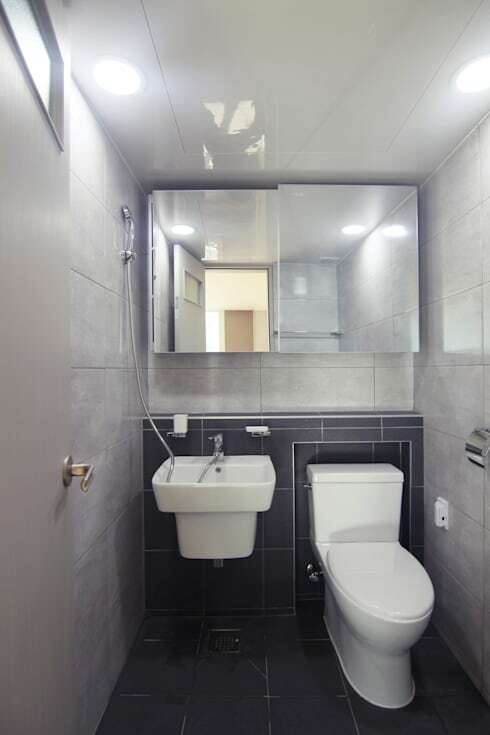 This before and after tour has brought us to the highly urbanised city of Seongnam in South Korea, and we will take you through the makeover of a home that had everything it required – but in all the wrong places! Bad space management not only made the apartment look cluttered, but it also left out many corners that could easily have been used. So the interior designers and decorators at Light & Salt Design decided to bring in fresh and contemporary touches, and remove unnecessary design and decor elements to make way for neat ideas. Morning Star Village Life apartment is now a modern and smart sanctuary for urban dwellers, with its elegant neutral hues, minimalistic appearance, and clever organisational hacks. So get ready for an inspiring transformation journey. The mismatched and bulky pieces in the living area only accentuated the compact quarters of the home, and everything seemed to take up more space than necessary. 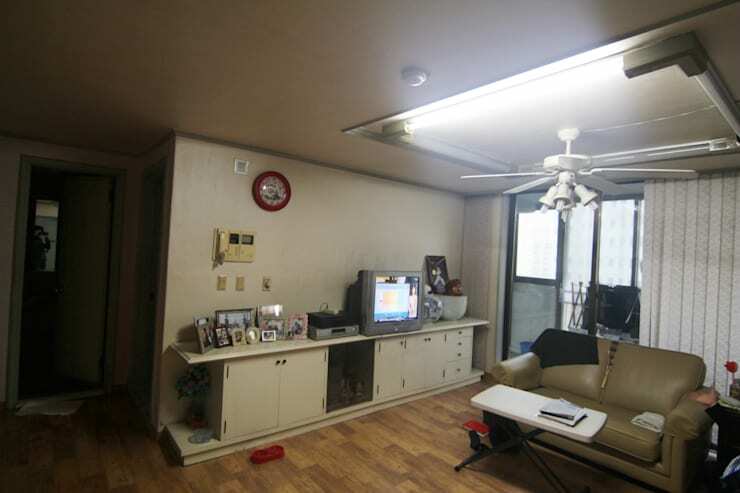 The cluttered TV cabinet, drab ceiling lights, and a dated floor didn’t help the situation in any way. The revamped living area now looks much more spacious, airy and bright too. The new pale-hued wooden floor, the freshly painted walls, and the neat glass doors leading to the sunny balcony – all add up to the cozy and simple charm of this space. The addition of the sleek bank of shelves with their earthy yet urban wooden appeal grounds the space in a whole new way, and offers enough room for easy storage. 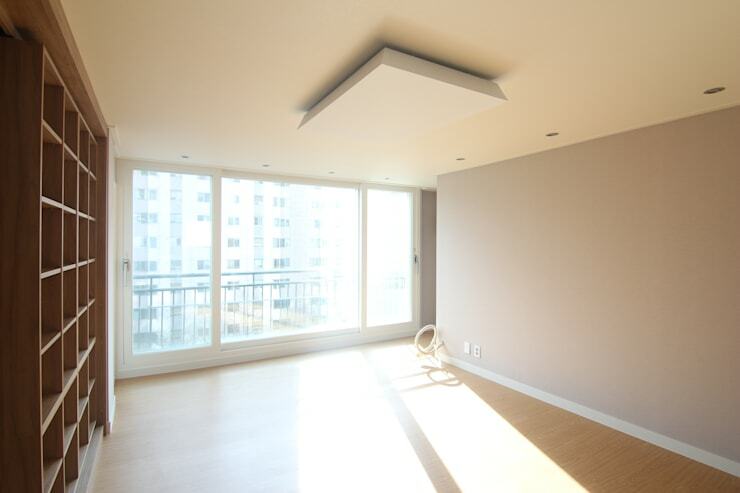 The ceiling light and fans have been replaced by a neat square for lighting, which emphasises minimalism. 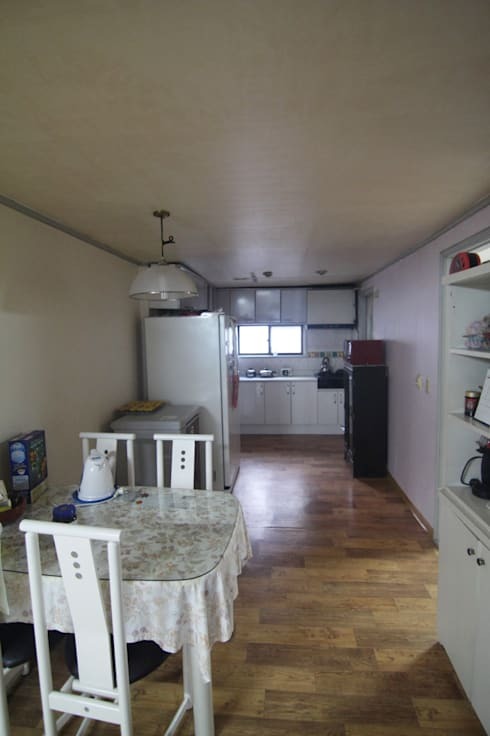 With ageing walls, the same boring floor as in the living space, and dated furniture and appliances, the kitchen and dining of the home looked gloomy and uninviting. The designers decided to give it a clean and bright look with subtle visual depth. So here is what they came up with. The kitchen and dining room now have a defining theme thanks to the splash of neutral hues like different shades of grey and white, which make the space seem stylish and warm at the same time. The dining area features sleek storage cabinets on one side ensuring uncluttered thoroughfare to and from the kitchen area, while the textured walls on the right create a trend setting look. The sleek kitchen beyond is subtly demarcated by the textured wall that partly conceals it from our view. But it is easy to make out that is a brighter and smarter space than before. Powerful but soothing pendant lights liven up the atmosphere in the dining area, and make everything seem more comfy. 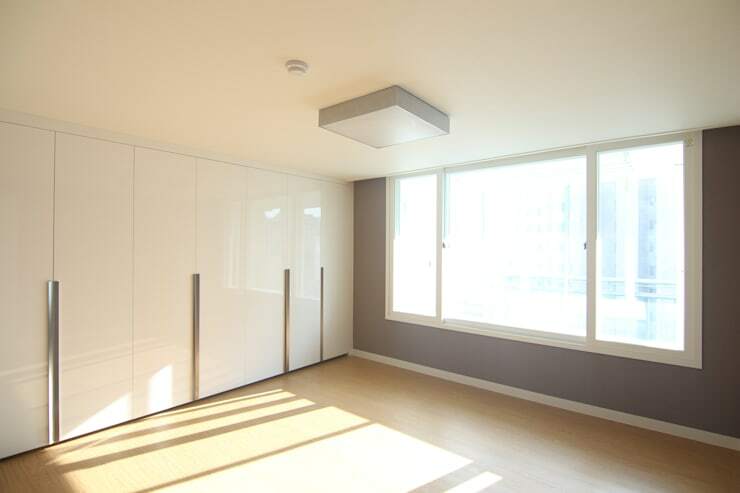 With the introduction of such inbuilt fixtures like these gleaming closets and their slim chrome handles that go from bottom to top, this room now has a smooth sailing design that is fluid and also blends in well with the grey hue around the white window frames. The pale wooden flooring offers a dash of warmth, while oodles of sunlight flood the room with cheeriness. With a compact line up and perfect use of space, this bathroom has been done with up many shades of industrial grey. The use of grey and white forms the perfect canvas for the modish fittings that now occupy the space without overwhelming it. The mirror cabinet is a clever addition indeed. Storage and vanity – both in one seamless and convenient space! 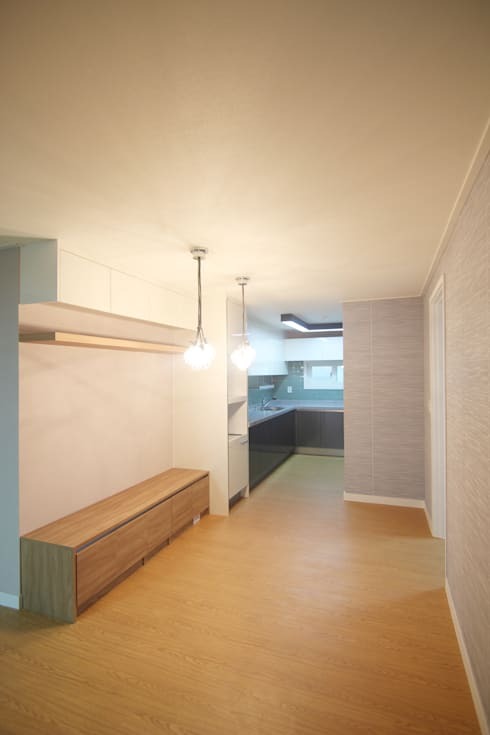 Impressed by the simplistic yet trendy facelift of this once shabby Korean apartment? We are too! For more transformation ideas, click here - A Tacky Apartment gets a Terrific Makeover!